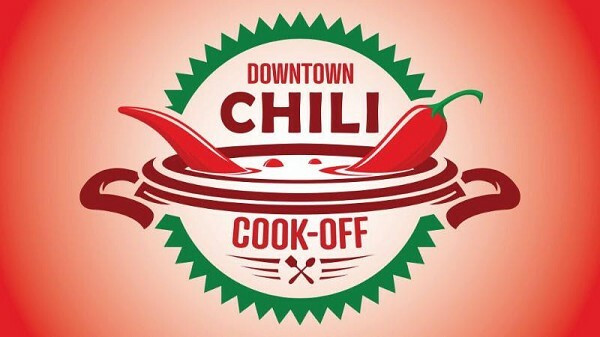 The Downtown Chili Cook-Off brings together some of the area's finest restaurants and their creative chili recipes for a spicy showdown in Downtown Bay City. Come try them all and vote for your favorite! American Kitchen - 207 Center Ave "Texas All American Chili"
Asian Noodle - 200 Center Ave "Classic Chili"
City Market Community Teaching Kitchen - 401 Center Ave "Medium-Spicy Red Chili"
The Devout Sprout - 401 Center Ave (Inside City Market) "Giant Slayer Chili"
GCC Organics - 401 Center Ave (Inside City Market) "Colorado Green Chili"
Mulligan's Pub - 109 Center Ave. "Texan Smoked Chicken Chili"
Old City Hall - 814 Saginaw St. "Bean and Buckwheat with Dark Chocolate Chili"
Riverfront Grille - 1 Wenonah Park Place (Inside DoubleTree Hotel) "Sweet and Spicy Western Chili"
Tavern 101 - 101 Center Ave "Roasted White Chicken Chili"
That Guy's Meats - 401 Center Ave (Inside City Market) "Texas Style Chili"
Tickets are $10 in advance or $12 the day of the event and can be purchased at any participating location.